The credit card protection plan from Standard bank helps to keep card holders safe and secure. It protects them from accidents and emergencies and helps them maintain their financial freedom. Signing up is easy because unlike many other cards, this one doesn’t require that you see a Doctor before getting the card. The credit card protection plan also comes with many other features and benefits which can help in the event of disasters. Death: In the event of death you will not have to pay the remaining balance on your credit card. 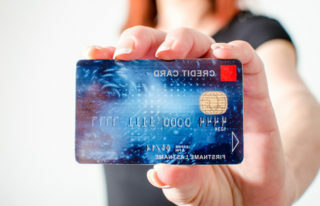 Disability: The card protection plan also covers disability. If you should become permanently disabled, the plan will off your remaining balance at that moment, up to R120,000. Double accident: If you and your partner should die together in an accident your family will receive double benefits up to R120,000.00. It will be split in two. Death: You have coverage up to R120,000 in the event of your death, up until the age of 75. The policy also covers death by accident up until you are 65. Double accident: Catastrophic accidents have the cover, but this does not extend to the secondary card holder. Disability: You have coverage for up to R120,000 in the event of permanent disability, up until the age of 65. That benefit also excludes the second card holder. Retrenchments: You will have to wait up to 6 months to receive cover in the event of retrenchment. That benefit ends at 65 and does not cover the second card holder. Dread Disease: Our protection covers dread diseases. And if the main policy holder gets either cancer, AIDS or any disease in the policy the coverage continues. It ends at 65. Exclusions: If you have pre-existing conditions in the last 12 months, it excludes you from cover for dread diseases (This is only for the first year of the policy.) Also take note that suicide does not have cover within the first two years of the policy. Premiums: Your premium is at a rate of R3.68 for R1000 of monthly payments directly from your Standard Bank Credit Card. You will also have to pay a monthly policy fee.